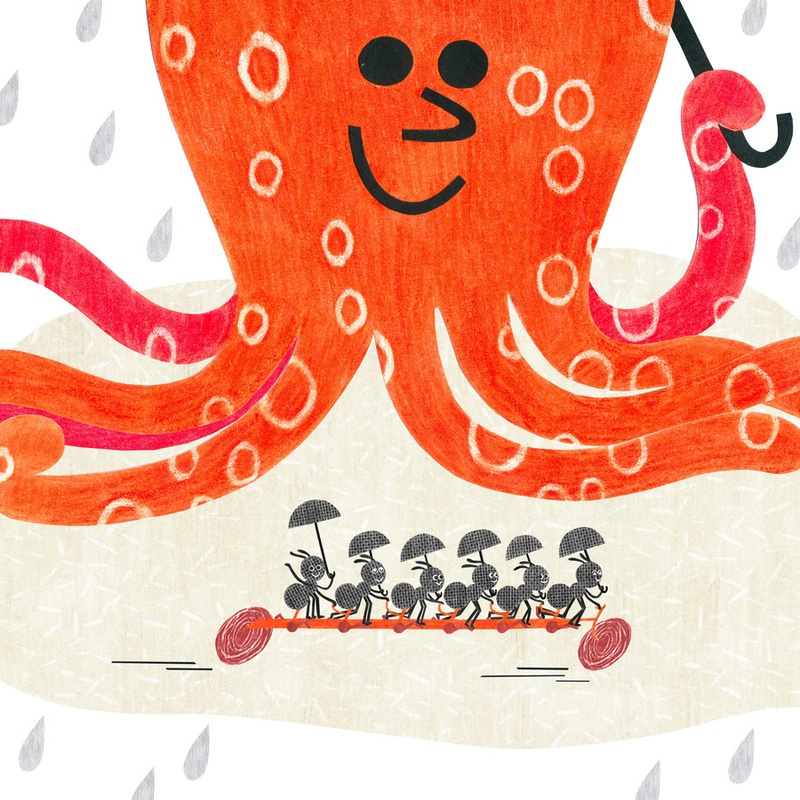 This is an illustration book for 2-4-year-old children. 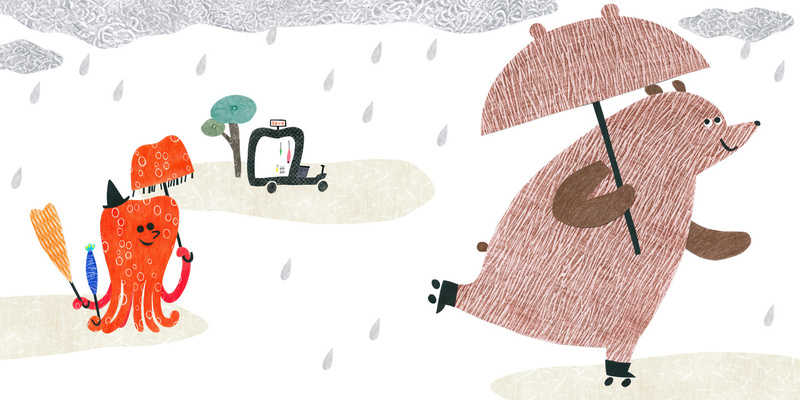 It’s raining outside. 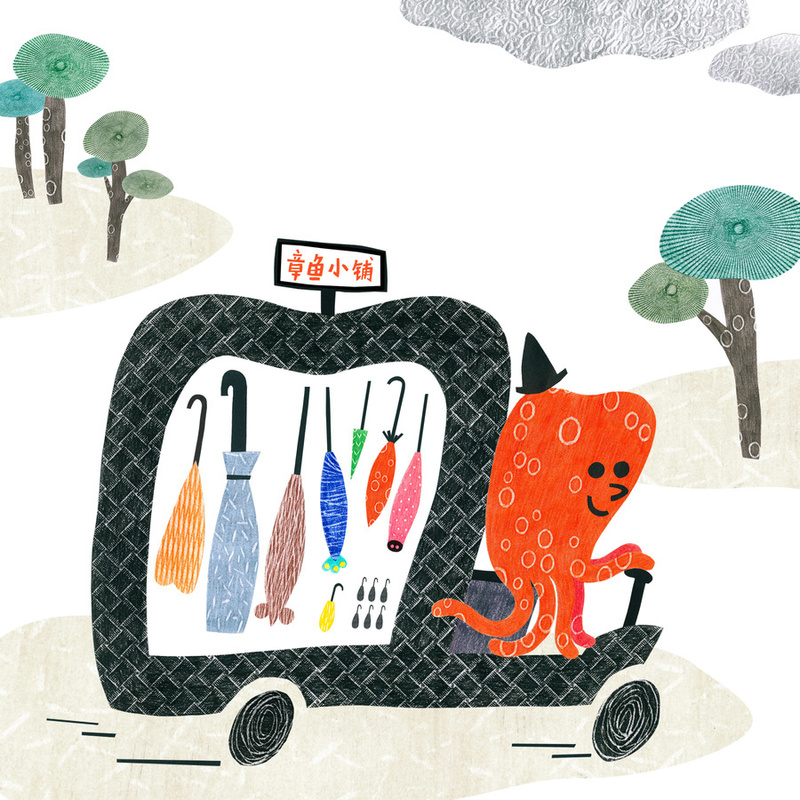 Mr. Octopus goes out to sell umbrellas. 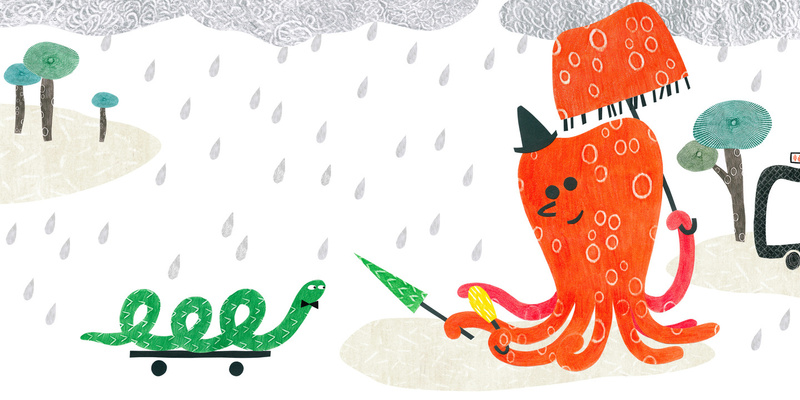 The elephant wearing a pair of boots buys a gray one; the skating bear buys a brown umbrella; the lion riding a bike wants an orange one. The rain is falling heavily. 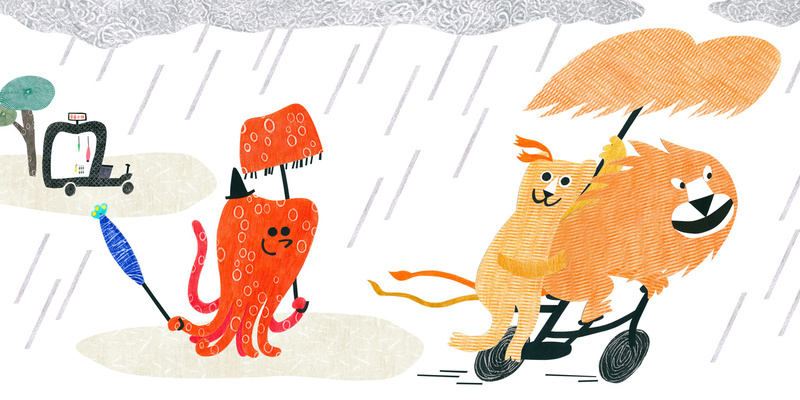 More and more animals come to buy umbrellas. Only a few black umbrellas are left in the end. Who will take them? This book will teach children about animals, colors and vehicles with pleasant reading experiences.